A telling sign that a specific food is popular is when you can walk across a college campus and see the food’s name on a piece of attire. That, or if, when browsing Instagram, every recipe has the item in it. 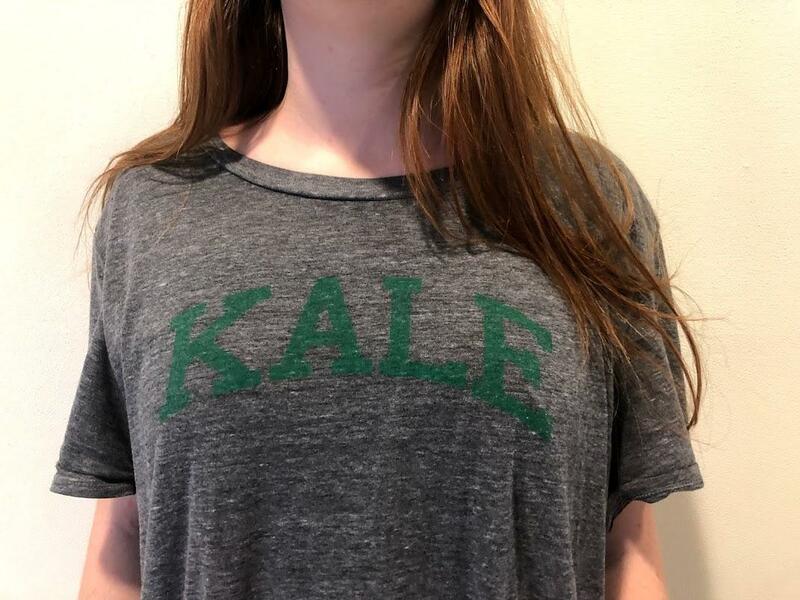 I am specifically talking about kale — it’s kind of a big deal right now, not just in foodie culture but also in the health scene. I am not too into healthy eating, considering I eat Moe’s Southwest Grill and frozen pizza often. Nonetheless, I am very much so a kale fan. Sadly, I only found my way to the sacred land of kale in the past year. Most times, I used spinach or other greens for salads or pastas until I found kale at the pasta station in the pit. Since then, I have been on the kale boat full sail, adding kale to every and any dish. The power of kale is seemingly endless as well, as it can be an ingredient in everything from salads to pasta to smoothies. Given the high stature of kale, I am going to share five simple yet delicious kale recipes. Toss all of these ingredients together for a delicios, hearty salad. • Noodles of your choice, I usually roll with a whole wheat penne or rigatoni. • Again, sauce of your choice. What’s great about kale is how versatile it is, and how it will go with any sauce. I usually go with a light tomato-based sauce to coat the noodles in. While the sauce and pasta is cooking, I sauté some kale with garlic, salt, pepper and some red pepper flakes. Once everything is done I combine it all and top it with some parmesan cheese and more red pepper flakes. The kale adds both nice color and texture to the dish, not to mention great taste. In a half inch deep pan, lay down a bed of kale toped with salt, pepper, olive oil and lemon juice. Bake that for a couple minutes at 400. Take the pan out and then lay the salmon on top, drizzle some lemon juice and salt and bake for around 10 minutes at 425. Once the salmon is done, it can be plated on top of the kale and the dish is done. You can add some dill or mustard as well to bring in some more taste. • A little bit of mango. I blend the kale with a couple cups of water and a couple cubes of ice, and once blended I add everything else and blend it up well. Sometimes I also squeeze a lime and lemon in. In no time at all, you will have a delicious and healthy smoothie. • Store-bought pizza dough, rolled out pretty thin. • 1 cup of mozzarella cheese. In a bowl I toss chopped kale (no stems) with some lemon juice, salt and olive oil and top the pizza with it. Pop that into the oven and in around 13 minutes you have a beautiful pizza ready to be eaten. I top it off with parmesan cheese and red pepper flakes and it’s something out-of-this-world good. Kale is the future my friends, so start exploreing the evergreen, vibrant, and versatile green that will keep you feeling good.